PLACENTIA, Calif. — FMK Firearms’ highly regarded “Bill of Rights” handgun now comes with G96 Synthetic CLP Gun Oil to keep it in peak operating condition for years to come. The article discusses, at length, the importance and difficulty of maintaining a clean firearm. It takes a look at several other products and goes into detail why G96 Brand Products stand far apart from the competition. To download the full article in PDF format, click here. 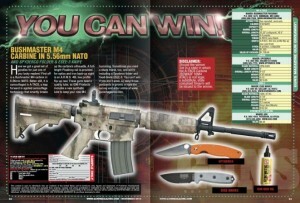 View the entire article in GUNS Magazine digital edition. View the entire article in GUN Magazine’s digital edition. View the entire article in Shooting Industry Magazine’s digital edition. A great deal of thanks to the American Snipers for honoring G96 with a medal at the 2010 Shot Show! The American Snipers is an organization that helps “those that are on the front lines of safeguarding our freedoms”. This includes U.S. troops that are currently in the field. G96 is a proud supporter of this organization. We are committed to continuing our donation of G96 products and assisting the American Snipers in accomplishing such wonderful things. At G96 we are proud to associated with such a wonderful organization and deeply appreciate the recognition that they have bestowed upon us! Visit the American Snipers website here. G96 would like to thank all of our customers and colleagues for stopping by our booth during the 2010 Shot Show in Las Vegas. It truly was a remarkable event. Our staff enjoyed hearing all of the wonderful feedback provided by our domestic and international customers and business partners. Your feedback was greatly appreciated. At G96, we are truly proud of how well our products are received worldwide. We look forward to anther wonderful year! Our staff looks forward to seeing you at the 2011 SHOT Show in Las Vegas, Nevada. PATERSON, N.J., Nov. 16, 2009 — [ASDWire] — G96, a leading supplier of gun lubricants and cleaning products, announces its Synthetic Gun Oil has been approved by the U.S. Army under Performance Specification: Lubricant, Cleaner And Preservative For Weapons And Weapons Systems, clearing the way for its use in its weapons into the 21st Century. 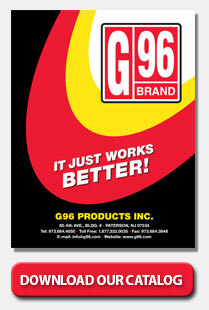 G96 Brand is one of the most trusted names in gun lubricants and cleaning products. Used by shooters around the world, including many law enforcement agencies, G96 continually strives to live up to its reputation for providing world-class products for firearms. For more information, call 877-332-0035 or visit www.G96.com. View original article from ASDNews.com. G96 CLP officially approved by the U.S. Army – ARDEC. G96 successfully passes qualification testing by the U.S. Army – ARDEC. Refinishing this gun would be horrific, but the blue is heavily worn on the front end and toning it down would improve its appearance considerably. G96 Gun Blue Creme has the perfect properties for this job by giving a slightly matte finish matching what’s left of the original Browning’s. I’ve used it successfully to touch up rust-blued guns, too. As can be seen by the two photos, the holster wear is diminished — but not entirely gone, just the effect I wanted to achieve.